Your First Great Script – Your Creative Life. This 3-month, one-on-one intensive – designed around your specific needs – is about you and me working hand-in-hand to get your script finished. But you don’t just want a finished script. 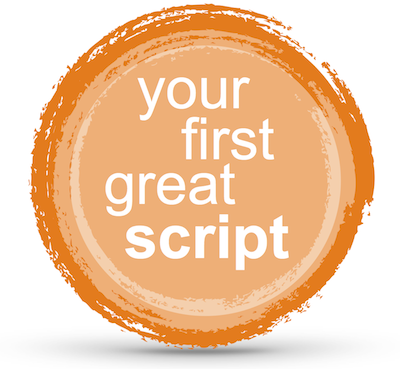 YOU want to have a finished script that is great. Because that is what will take you to the next level. And you can do it. After all, you wouldn’t be reading this if part of you didn’t truly believe you have that script inside you. In our weekly guidance and accountability conversations, followed by real-world homework, we’ll cover the areas that you, personally, need to know: I’m happy to start at the basics of idea generation, or concentrate on teaching you how to craft the grace notes that make scenes sing. These three months are called an “intensive” because a solid commitment of focus and time is required to bring any project to life. This opportunity to work with me will be guided by your creative impulses and your diligent work. You’ll learn techniques and methods that you will use over and over again throughout your career (no matter how many hyphenates you eventually have in your artistic title). This 3-month program starts with an exploration of your great idea and where you are with your project, and it ends with a comprehensive script consult. Your results will depend, as they always do, on the effort you put in. This 3-month intensive is unlike any “class” or “workshop” you’ll find anywhere else. You will be receiving personalized guidance designed to encourage you, challenge you, and satisfy you.